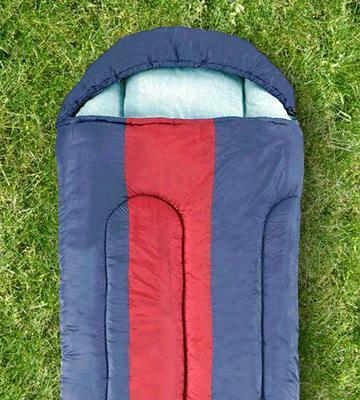 Coleman sleeping bag has enough room for two adults and is fitted with two full-length ZipPlow zippers. Even when stuffed, it's rather bulky. This comfy sleeping bag will surround you and your loved one with softness and provide with relaxing night’s sleep. 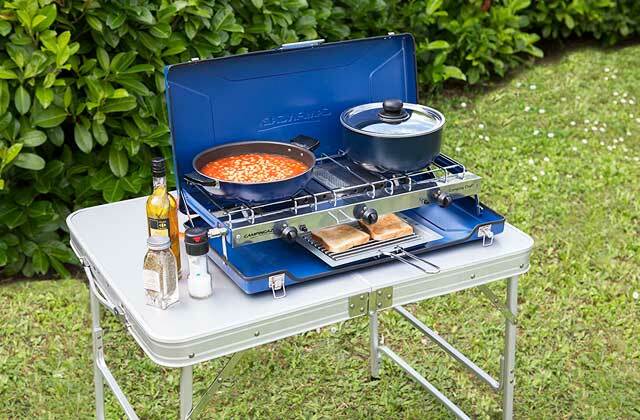 The best option for families who often camp together! 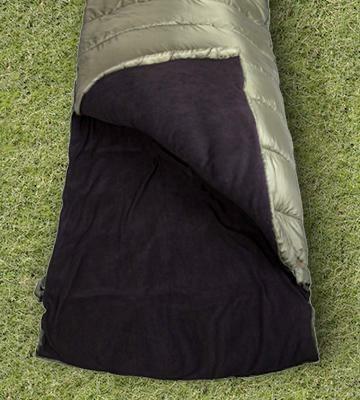 Thanks to the extra-thick fleece lining, the sleeping bag perfectly retains the warmth and pads the ground. The zipper is on the left side only. 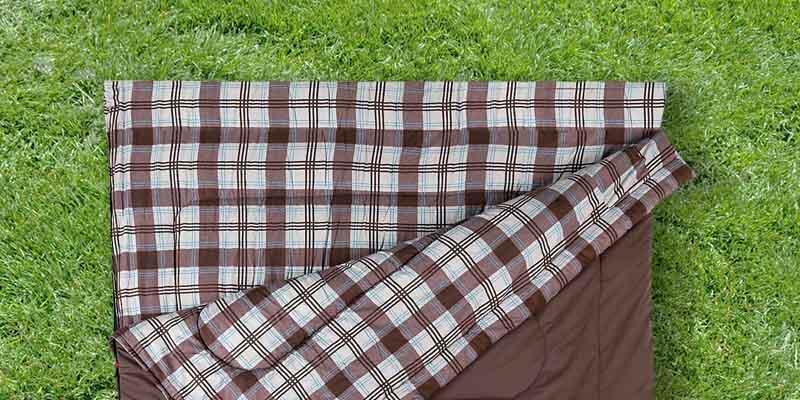 This 4-season sleeping bag has enough room even for an extra blanket, thus, will surely keep you warm during cold winter evenings and frosty nights! This "Mummy-type" sleeping bag will provide you with a snug fit and will keep you comfortably warm, thanks to the tapered design. The zips might get stuck. 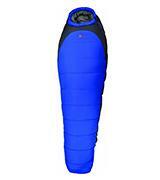 Coming at a reasonable price, Highlander Echo 400 is a perfect sleeping bag for those who occasionally go camping. Warm and comfortable! The sleeping bag is paired with a cushioned hood to keep your head warm and comfortable. The outer shell is a bit slippery. 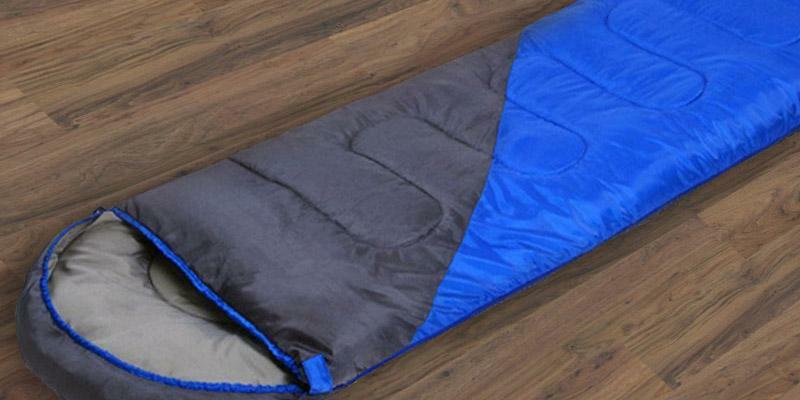 The Coleman Hudson Sleeping Bag can become a comfy and warm sleeping environment for travellers who spend a lot of time camping all year round. The set includes a carrying case for easy transportation. The sleeping bag can be zipped to other bags. Gives off artificial smell right after opening the package. Hiking enthusiasts! 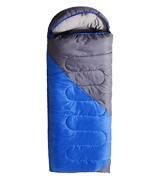 If you are looking for a comfortable, compact, and light sleeping bag, the Pyrus Sleeping Bag is the best pick for you. If you need a roomy sleeping bag for two (or more) people, pay attention to the Coleman Hampton Sleeping Bag! It can comfortably accommodate two adults, a child, and even a pet inside. It's fitted with the full-length zippers on each side, so you won’t need to crawl over your companion whenever you need to get in or out. Plus, you can fully unzip the bag and use it as a soft large comforter; owing to ZipPlow technology, the material will never get stuck. Thanks to a flannel lining and plush cuff, the sleeping bag is super cosy inside. 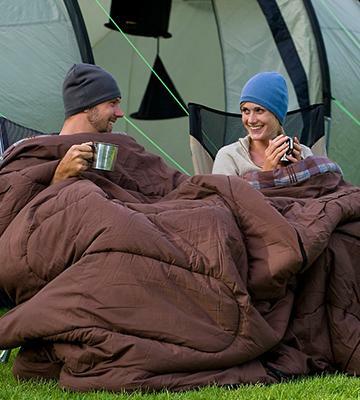 In addition, it boasts Coletherm patented insulation system that can withstand pretty cold weather up to - 12 ° C. Overall, having such a luxurious sleeping bag handy will enable you not only to surround your family with the ultimate comfort on a chilly camping night but also keep your guests warm on your patio or porch during cool evenings. Those who like lakeside vacation might be interested in portable and light inflatable kayaks. Avid fishermen know that fish bite at different times of day depending on the weather, season and other factors. Occasionally, fish feeding activity falls on the early morning or even night. 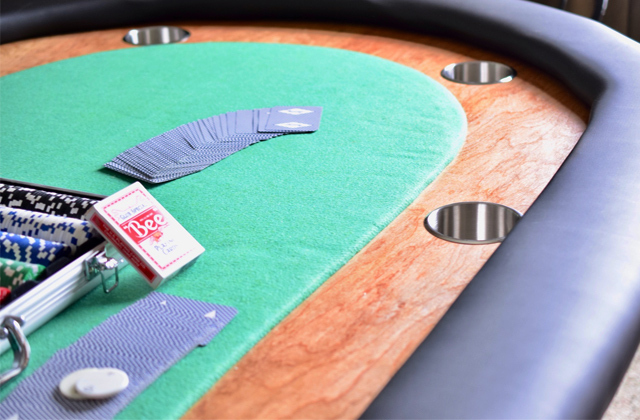 Thus, the anglers should provide themselves with a comfortable place to rest while waiting for the “bite time”. If that sounds like you, Mountain Warehouse Sleeping Bag is the choicest option! Made of durable ripstop polyester and hollow fibre, this 4-season sleeping bag is perfect for outdoor use. Since the model has a fleece lining, it provides excellent insulation and keeps extra warmth inside. So, with such an assistant, you can enjoy fishing even in snowy and frosty weather - the bag does an excellent job at the temperatures of up to -18 °C. The manufacturer has equipped the sleeping bag with an inner pocket that can keep your valuables safe by your side while you're sleeping. And to make you feel even more comfortable and secure, the bag has a left two-way zipper that will never open accidentally. Get a fishfinder to find the best place for fishing. Make fishing not only fun but also efficient! If you are fond of hiking or camping in winter, then temperature rating will be your top criteria when choosing a sleeping bag. The optimal temperature for using Highlander Echo 400 Sleeping Bag makes about -7 °C. The bag has a Mummy-type shape tapered to the bottom and a 3D insulated neck baffle which will help to keep the warmth inside during your winter camping adventures (the lowest temperature limit makes incredible -33 °C). For the ease of use, the bag has a two-way zipper with anti-snag protection as well as shoulder baffle with draw cord. Also, the great news is that the sleeping bag is filled with a warm synthetic fabric, so you can wash the bag in a washing machine. Plus, the bag is equipped with a special foot box and a comfortable hood inside so that you won’t feel any discomfort. Summing up, we can confidently say that Highlander Echo 400 Sleeping Bag is a must for mountaineers and backpackers! In order to control the distance, calories, and the number of steps you take during your hikes, consider buying a pedometer which can transfer these data right to your smartphone. If you are an avid traveler and enjoy taking small trips now and then, you are probably interested in a versatile sleeping bag that can be used throughout the whole year. Coleman Hudson Sleeping Bag is just like that! Due to the Coletherm superior insulation, soft polyester shell, and flannel lining, the bag can make you feel warm and comfortable at an impressive temperature range between 0 °C and - 23 °C. Despite the fact that the bag is designed for one person only, it is quite spacious to move around inside and has enough room for an extra blanket. So, even if it gets well below zero, the sleeping bag will do a great job! A welcoming feature for any traveler is the integrated hood which can act as a cushion and protect a head against cold drafts. In the end, we would like to point out that this year-round sleeping bag is also available in a bigger size for two people. In case you love watching birds and animals during your hiking tours, think about getting binoculars. 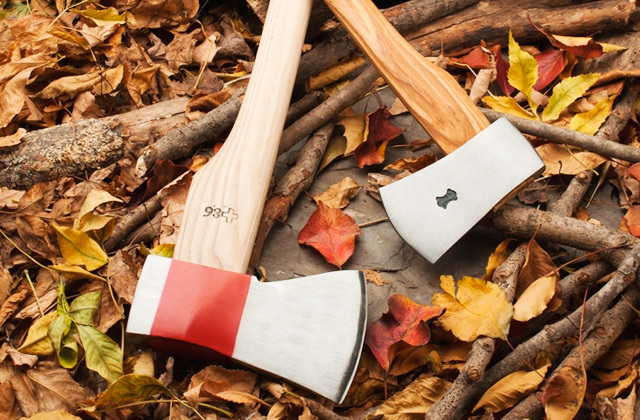 Make your outdoor trips even more adventurous! What are the key features most hikers look for when choosing camping and hiking gear? Lightness, compactness, and portability! If that goes for you, Pyrus Sleeping Bag is the best pick ever! 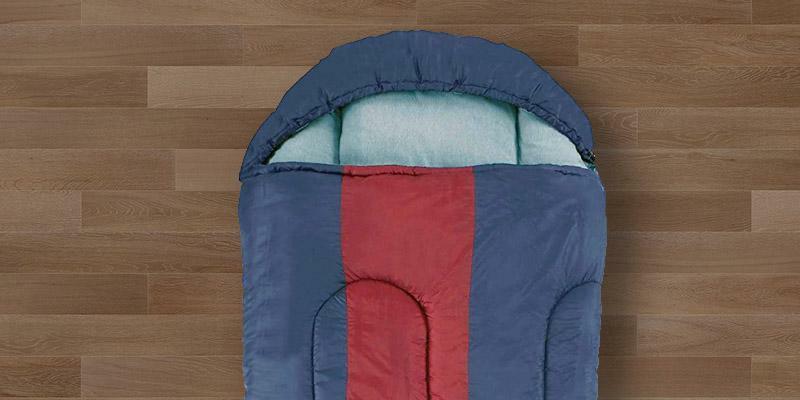 At 1.8 kg only, the sleeping bag can comfortably accommodate an adult up to 2 meters tall. And after having spent a comfortable night inside the bag, you can conveniently roll it up into the carrying bag included in the set. When rolled up, the bag makes just 40cm x 24 cm, so you can easily stuff it into your backpack. 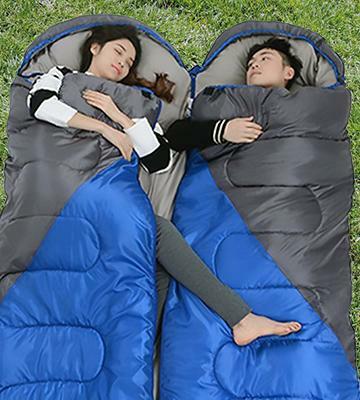 Also, this model is perfect for those who travel with their loved ones, since it can be zipped together with the other sleeping bag, thus, allowing you to sleep next to your companion. The sleeping bag is crafted from high-quality polyester and cotton, so it’s able to repel moisture, and make you feel comfortable within 0 °C - 5 °C temperature range. 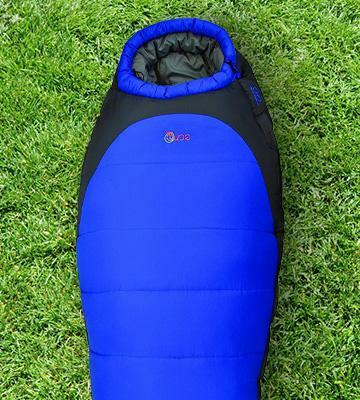 All in all, PYRUS Sleeping Bag is a compact model perfect for camping, hiking and even mountaineering. 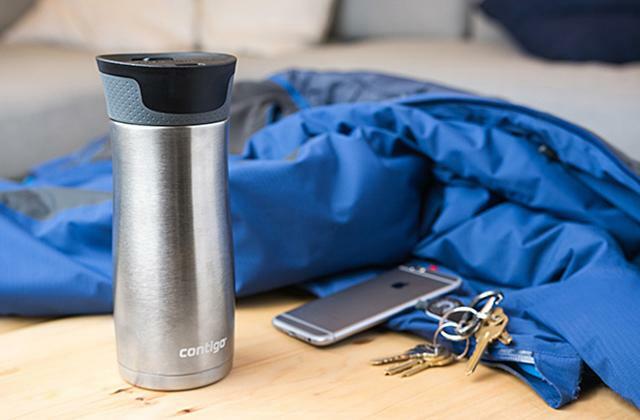 To preserve the temperature of food and drinks as long as possible during your hiking tour, we suggest getting a reliable thermos. Are you a passionate camper? 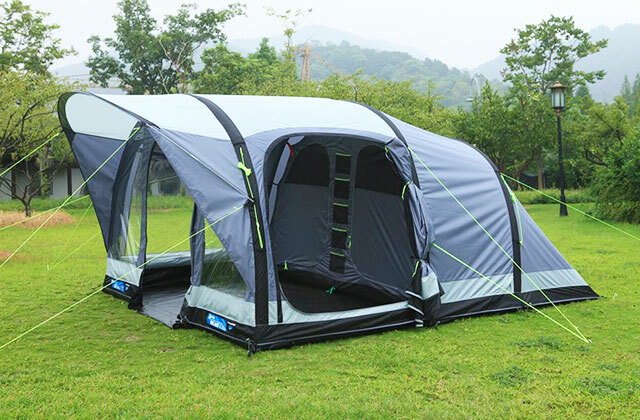 Or do you enjoy camping overnight on occasion? Don’t forget to bring your sleeping bag! 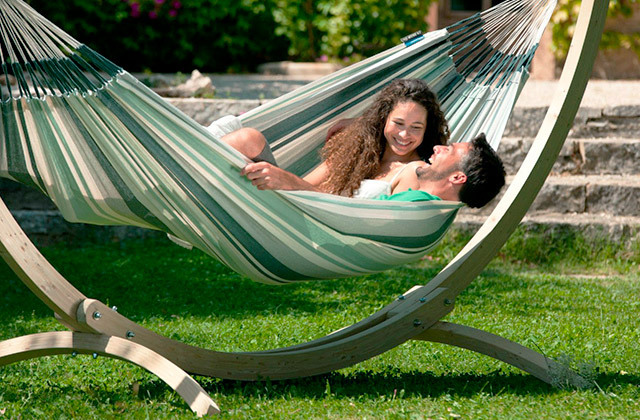 Camping is all about having a good time and getting enough positive emotions, so don’t let a bad sleep ruin your mood. Sleeping bags are an essential gear for every camper who wants to sleep in the warmth and comfort that can protect against overcooling and help recover energy for the achievements of a new day. In our sleeping bags review, we will focus on the gear that you should get for camping and share some of the most popular and highly demanded sleeping bags available on the market. 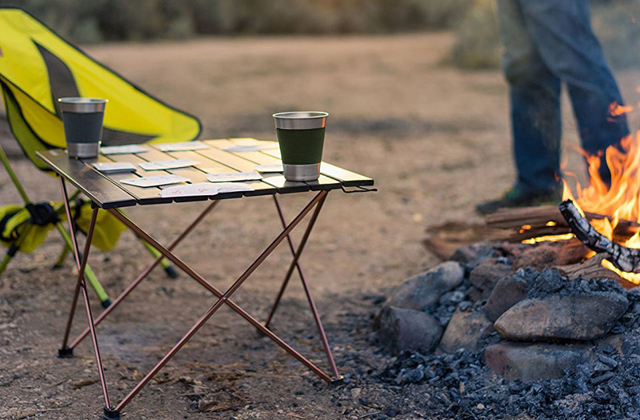 If you want to enjoy tourism and camping even more, we recommend you to consider purchasing one of the camping stoves that doesn't take up a lot of space and allow for cooking all kinds of meals right outdoors. Choosing a sleeping bag is a relatively simple task if you know exactly where, when, and what for you’re going to use it. The Temperature Ratings of a sleeping bag is the first parameter we recommend paying attention to. Most manufacturers rate their sleeping bags to help you choose the right one for your preferred season and weather. For example, 4-season sleeping bags with comfort ratings of -10... -25 degree C will keep you warm on a cold winter’s night. 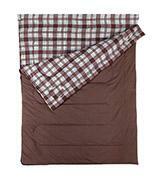 3-season sleeping bags (-2...-5) will suit for a comfortable outdoor sleep in spring, summer or autumn. The bags rated 0...+5 Degree C will be perfect for summer camping. 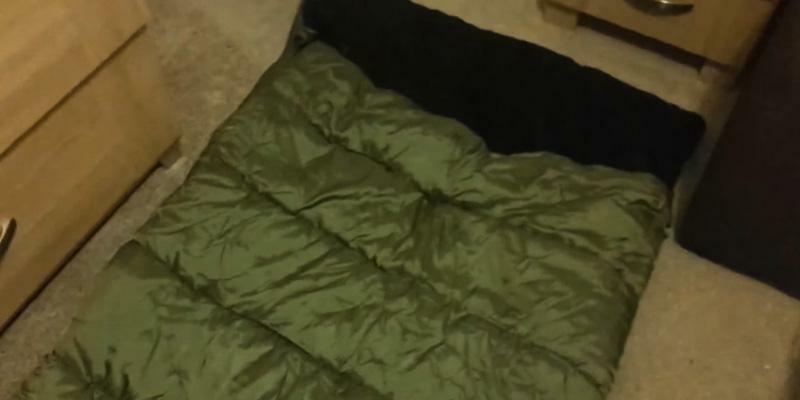 The Shape of a sleeping bag is another important parameter. The two most popular types in the market are rectangular, i.e. 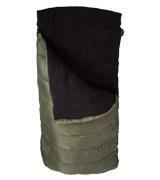 ‘blanket’ sleeping bags, and tapered, hooded sleeping bags, so-called “Mummy bags”. Rectangular sleeping bags can be zipped from the very top to the very bottom, they can be unzipped completely and used as a comforter or a blanket. 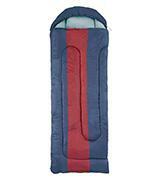 These sleeping bags are well suited for simple camping trips, or for people who travel by car. They can also be zipped together with some other sleeping bags for more room. Mummy-type sleeping bags are tapered to the bottom and don’t unzip completely. 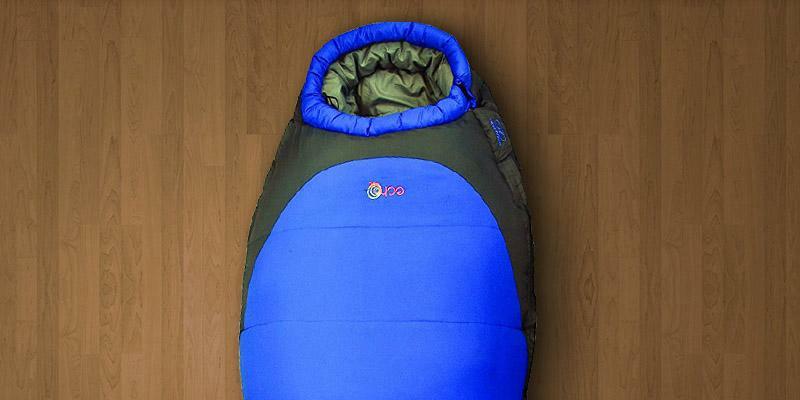 Thanks to their anatomical shape, such sleeping bags are lightweight and compact, they also retain warmth very well. Mummy bags are hooded, keeping your head warm and protecting you against cold drafts. You might need some time getting used to sleeping in mummy-type sleeping bags, as they aren’t as roomy as rectangular ones. Also, note that some sleeping bags allow connecting two bags. Just zip your two sleeping bags together to cuddle up and sleep comfortably. Just remember to pay attention to the zippers, there are left-side and right-side sleeping bags. Mummy-type sleeping bags are well-suited for backpacking, hiking or mountaineering due to their light weight and great insulation capabilities. The Materials used in sleeping bags determine where and in what conditions you can use them. Most sleeping bags have a durable outer shell and a softer lining, and are filled with an insulation material. All the materials in sleeping bags must serve to retain warmth and provide comfort to their owners, they have to be both strong and lightweight. The outer shell must be breathable, wear- and water-resistant. Polyester and nylon are most often used for outer shells, keeping the cold weather out. 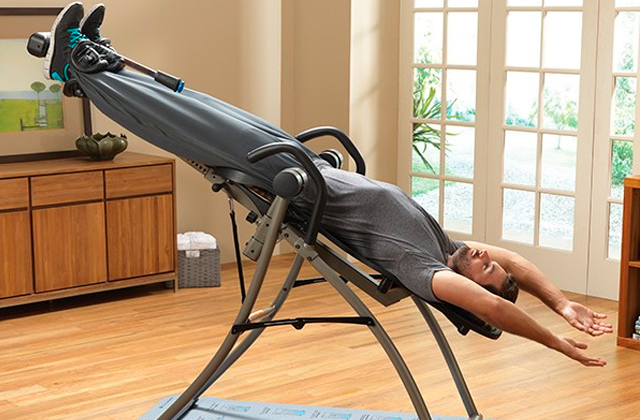 The inner lining must also be breathable and soft, allowing you to sleep comfortably with no excess sweating. Manufacturers generally use cotton, flannel, fleece and nylon fabrics. Insulation fillers are made of quilted natural or synthetic fibre materials. Down sleeping bags provide great warmth insulation. However, the down can shift sometimes, and if a sleeping bag gets wet it might take a long time to dry. Synthetic fillers dry quickly because they do not absorb moisture. Sleeping bags with synthetic fibre insulation are well-compressible and restore their shape quickly, you can even wash them in a washing machine. Durable polyester fibres, having a structure similar to natural down and leaving no cold spots, are distinctive features of best sleeping bags. 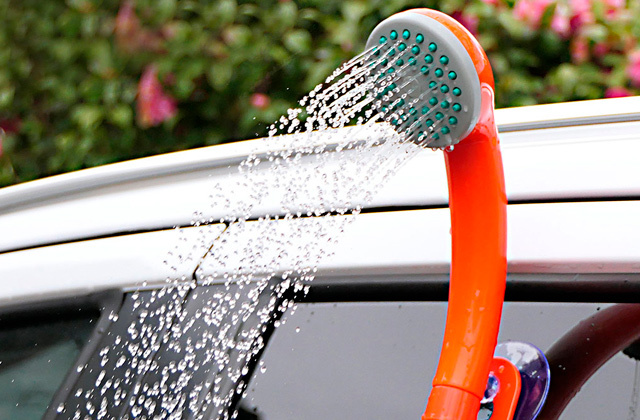 Convenience, as regards transportation and use, is a very important thing to consider before you buy your camping gears. 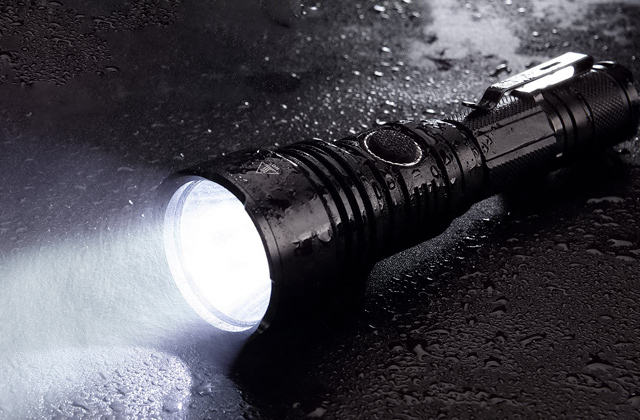 The lighter your sleeping bag is, the less trouble you will have taking it with you. Most sleeping bags come with a stuff sack which allows you to compress your bag and free extra space for your other gears. To choose the right sleeping bag to fit you comfortably, add about 6-8 inches to the height and width of your body. For example, children’s sleeping bags have an average size of 71 x 144 cm, teenage bags are usually 74 x 168 cm, the standard adult size is about 74 x 190 cm, large is 84 x 198 cm and more, and there are extra large sleeping bags of about 95 x 230 cm. If you’re travelling with your family, you might want to give a try to double sleeping bags which fit two people comfortably. 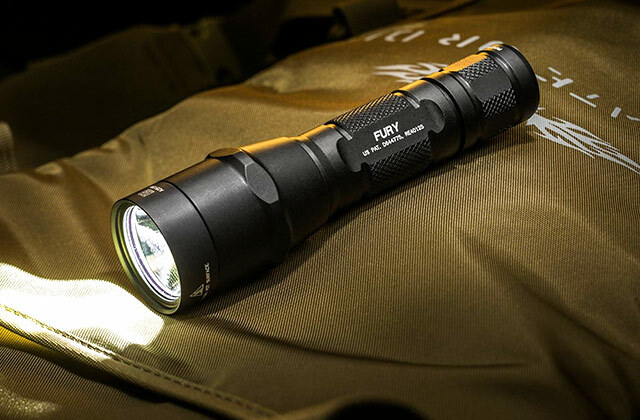 Also, pay attention to the additional features, such as convenient zippers, inner pockets, and other extras which will facilitate the use of your sleeping bag. 1. Sleeping Bags for Camping: How to Choose, REI. October 28, 2016. 2. Choose Your Sleeping Bag, MEC. 3. Brandon Lampley How to Choose the Best Camping Sleeping Bag, OutdoorGearLab. June 5, 2015. 4. How to use the sleeping bag properly, Deuter Sport. 5. Sleeping Bag Care, REI.